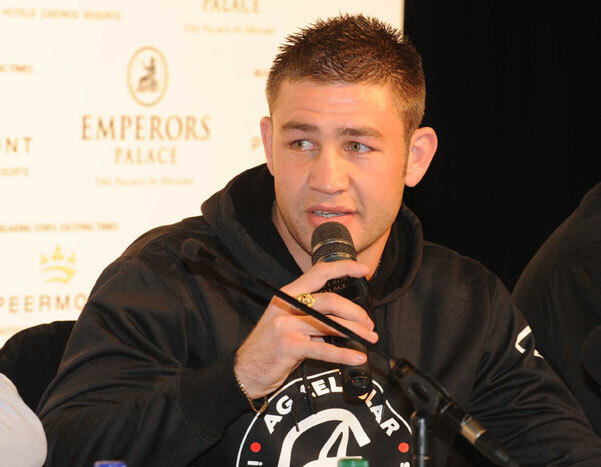 The wounds are still open and emotions are as raw as ever for Chris Van Heerden. It’s less than three months after his father Daniel was murdered in South Africa in December, and while duty calls for the welterweight, who fights Mahonry Montes in Costa Mesa this Saturday, dad is never far from his mind, especially on those days when the last thing he wants to do is get to the gym and prepare for a prizefight. That Van Heerden is still here now is already a testament to hard work and perseverance. A pro since 2006, the Johannesburg native raced out to a 23-1-1 record that included an IBO title and wins over the likes of Kaizer Mabuza, Sebastian Lujan, Matthew Hatton, Cosme Rivera and Ray Narh. In 2015, he ran into Errol Spence and was stopped in eight rounds, and while a pair of wins followed in 2016, his career ground to a halt after that. There was talk of a fight against Manny Pacquiao in 2017, but that fell apart. Then Van Heerden signed with Evander Holyfield’s Real Deal Promotions, but after a 2018 win over Timo Schwarzkopf in the first round of the WBC Jose Sulaiman Welterweight Invitational tournament, the tourney hit the skids, leaving Van Heerden in limbo again. “Two years down the line, I’m doing everything right, but everything on the other end is going wrong,” said Van Heerden. But with Van Heerden staying in the gym in California and manager Peter Kahn refusing to throw in the towel, some light arrived last November when Top Rank signed the welterweight standout to a deal that kicks off this weekend. With the ESPN platform and Top Rank’s well-deserved reputation for knowing how to move fighters and putting them in a position where they control their own destiny, the 31-year-old can breathe a sigh of relief that he will be able to let his fists do the talking. And ironically, when he arrived in the United States five years ago, it was the Las Vegas-based promoter that he wanted to work with. What a long, strange trip it’s been for Van Heerden, and thankfully, for him, the good part of the rollercoaster is coming. Of course he had to weather the rocky parts to make it here, but even the rocky parts hold some valuable lessons. That’s a meaningful statement from someone who never thought he would be here in the first place. Ultimately, it was clear that Van Heerden had it in his blood, but as he turned 18, he was about to put it aside forever. Then Daniel Van Heerden called his son into a room for a chat. Good for him signing with Top Rank. That should get him some fights, even if he is fed to Crawford. Maybe he doesn't become world champion, but he'll get paid. Say hello to Crawford's next opponent after Khan.